Epson SureColor P800 Printer 17” Screen Printing Bundle , screen printing film positive equipment, all black film positive equipment, equipment for making film positives, wide format printers for film positives. With the Epson P800 17” Printer use the Photo black pigment Ink Channel to make dark density UV Blocking film positives. Leaving you also able to make color proofs for your customers. The Film Maker DTP+ Software separates your files to send to the printer. Features Epson® UltraChrome® HD pigment ink, developed and certified for use in screen printing applications up to a 4.0 Dmax. Epson Screen Print film provides a consistent, reliable, positive film with an instant dry-coating that won’t stick to the emulsion. Create up to forty 16″ x 20″ film positives per hour. Create screen positive films, posters and photos with the same printer. FilmMaker XL+ Software enhances and streamlines your Epson print applications and screen preparations provides Variable Dot Halftone (V-dot) support. With V-dot support, this increases the available number of shades by a factor of (times) 3 for a single black channel, and this process works across multiple black channels to provide up to (times) 12 shades. The net results are higher quality separations that can be produced in less time. 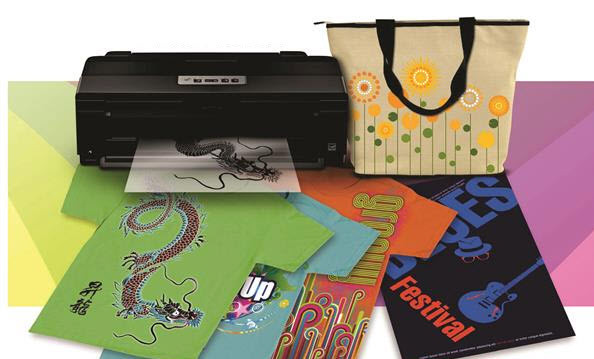 Easy to set-up, easy to use RIP software Quick and easy printer, ink, media setup. The printer and queue wizard will get you up and running in minutes without the need for any documentation. Further printing adjustments and customization can be completed afterwards using FilmMakers advanced settings. InRIP separations Select your favorite workflow. FilmMaker provides the ability to separate files directly in the RIP. No need to purchase, learn and use secondary applications. Your choice! 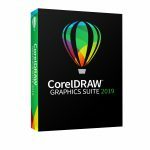 Print Directly from Applications Send jobs directly from graphics applications such as Corel™, Illustrator™ and PhotoShop™. Drag and drop files simply drag a saved file from your desktop directly onto the queue for processing. Network printing support Send jobs from Windows-based or Macintosh workstations to a designated hot folder which automatically forwards it to the appropriate queue for processing. Highest quality, precision screening FilmMaker includes CADlink’s unique, advanced AM/FM screening algorithm. Jitter™ provides a simple, flexible way in which to modify halftone screens for exceptional print quality in mid-tones, gradients, shadows and highlights. Variable dot print support True variable dot support that enables the mix of small, medium and large dots within a job. Unlike other software RIP’s that only support one size dot per job, FilmMaker provides precise dot size controls. The end result is the ability to print higher line screens at lower printer resolutions providing significant print speed benefits. Density rich films Select the exact film density required by using the FilmMaker ink density test print. FilmMaker is able to provide optimum ink levels using a variety of ink/media combinations. Multiple black ink support FilmMaker supports a variety of black ink configurations. Use the factory default printer black ink channels or choose to load any ink slot in your printer with third-party black ink cartridges. It’s up to you. FilmMaker provides the options to configure your printer as you please. Supported Printers FilmMaker supports most of the latest printers recommended for inkjet film creation and new drivers are added regularly. When launching FilmMaker for the first time, there is a new wizard for printer configuration and queue creation for collecting jobs that will be output by that printer. The wizard can be repeated to create queues for other printers. If there is an alternative configuration that you sometimes want to use for your printer, then use the wizard to create a separate queue with those settings. After completing the Printer and Queue Setup wizard, the Ink Density Wizard provides an opportunity to print a series of sample targets that help you determine the optimum ink density for your printer. This wizard can be repeated from the Queue menu. Instead of using your graphic design software to create separation, FilmMaker can now automatically generate separations for the CMYK planes, plus any spot colors that are present. For example, importing a PDF into FilmMaker will cause separations to be created, unless separations already exist within the file. When In-RIP Separations are enabled, distinct sets of curve information can be defined for your prepress proofing and main production work. 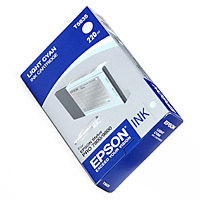 This allows you to adjust the ink levels for each process independently. For the halftone dots that compose a print job, Jitter is a means of introducing minute randomness to the dot shape, such that patterns are less evident within the halftone. The amount of Jitter can be adjusted for different tint ranges, such that the shadows, midtones, and highlights can each have independently set Jitter amounts. For each of your printers, you can create a queue tab that collects jobs according to the printer. Further, you can create additional tabs that vary only slightly, so as to segregate certain types of job. Depending upon your workflow, a queue can be configured to appear like a printer destination to other Windows applications. Though FilmMaker is a Windows application, print jobs can be processed from other operating systems (i.e., Mac OSX) by using a Hot Folder, which is simply a directory that FilmMaker monitors for image files that should be printed. For certain printer models that support variable dot printing, there is a Resolution printer option that provides an assortment of preset resolution and dot size combinations that can be used to fine tune the ink density for your films. When FilmMaker is installed, a “Send to FilmMaker” shortcut is added to your PhotoShop package. This shortcut will quickly send jobs to FilmMaker without the need to configure the File menu >> Print dialog. FilmMaker receives each job as a set of print-ready separations. For a held job, it can be spooled without printing, and then the print data then previewed on-screen as a pixel-by-pixel display of the actual print output. Monitor technology is only capable of an approximation of the job colors, though the pixel-accurate display is a useful tool for confirming the ink distribution across the job.